Do I Have To Leave My Keys At The Car Park? At ParkVia, we understand that it when it comes to parking your car, safety and security are paramount. We also understand how concerned you might feel when a car park requires you to leave your car keys with them as you continue on your journey. However, you can rest easy, because when your leave your car keys with the car park, you can be sure that the same level of attention will be given to your keys as with your car. 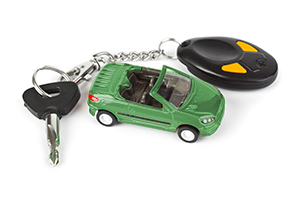 Some car parks will ask that you leave your keys with them in the event that a plumbing or electrical fault occurs for example which will require the car park to move your vehicle to a safe place. Not all car parks will ask you to leave your car keys whilst you are away, but the ones that do will clearly state this information, so you'll always know before you go! So, sit back and relax safe in the knowledge that your car is in safe hands with ParkVia.